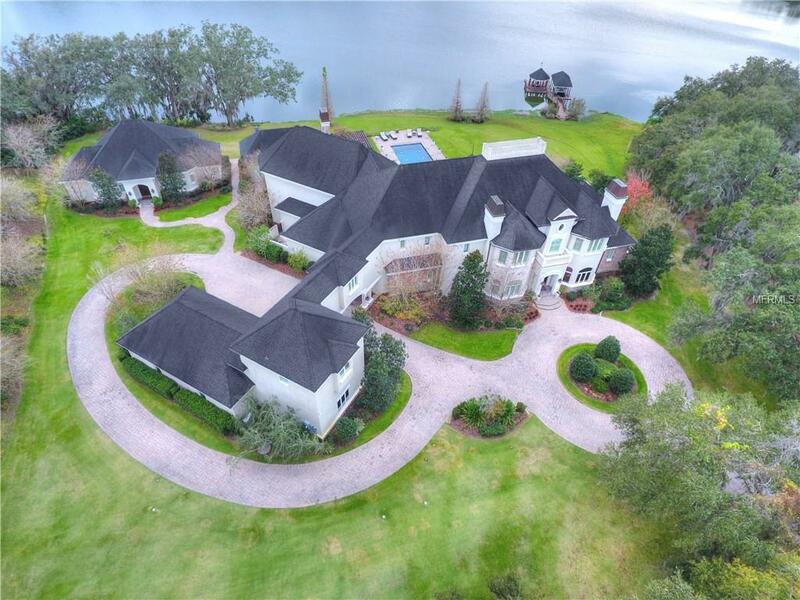 Luxurious and charming with French historic character, this custom home by Oliveria Construction takes advantage of picturesque lake views. This tastefully designed 12,334, sqft home artfully blends the boundaries between indoor & outdoor living. 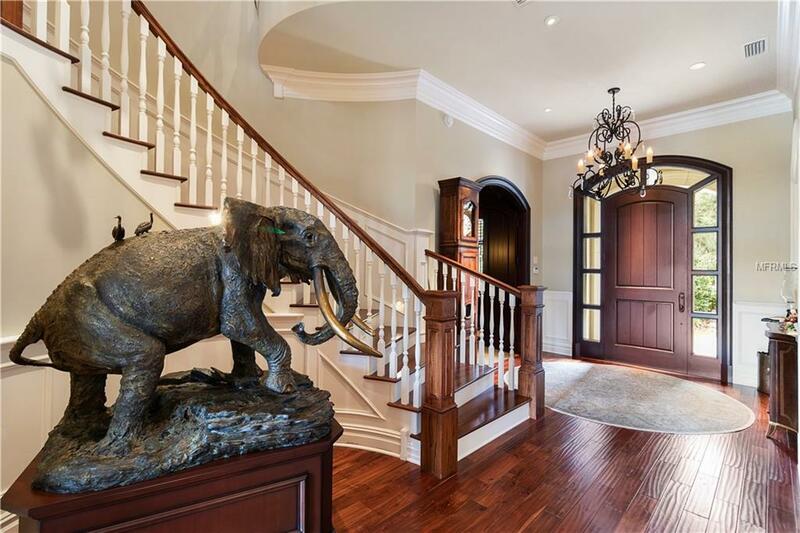 Soaring 40ft trophy room ceilings, a fully fitted professional kitchen w/ best of breed appliances, an elegant oversized master suite & master bath. 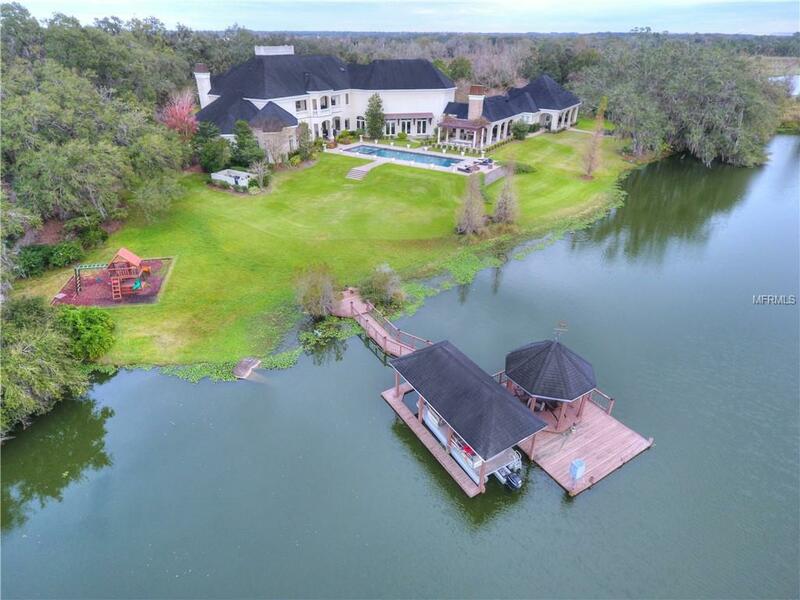 The expansive outdoor living areas w/ fireplace, summer kitchen & spa overlook the private lake. 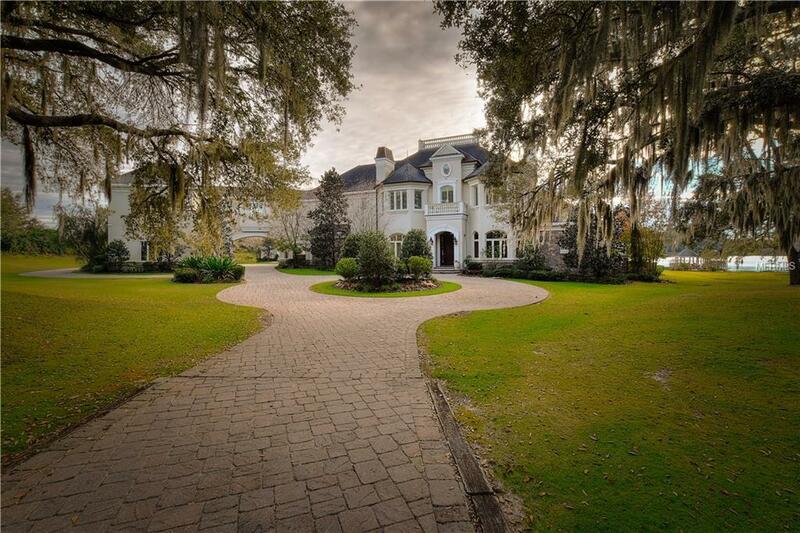 This stately 4 bedroom, 6 bath + 2 half bath home sits on just under 10 acres. Transitional luxury boasting 12ft+ ceilings, stone & hand-scrapped walnut flooring, extensive crown & mill work, elegant triple trey ceilings, 6 fireplaces. The kitchen features solid wood cabinets, custom panel covered refrigerator & freezer, granite throughout, hidden walk-in pantry, a fabulous coffee bar by Miele. The oversized kitchen island has 2 refrigerator drawers, 2 sinks & plenty of preparation space as well as seating. French doors throughout the home bring outdoor living into almost every room w/ a seamless flow. The executive office has custom cabinetry & built-ins, & gas fireplace. The master suite w/ brilliant lake views, features a gas fireplace with sitting area, master bath has jetted tub, dual vanities, steam shower, towel warming drawer, & urinal for the man of the house. The 1,500+ sqft guest home is equally well appointed. An oversized A/C,4 car garage with fully finished built out A/C storage above, full gym and bath.